The National College of Chiropractic graduate serving Western New York from two convenient locations in Amherst and Elma, offers Activator Methods®, Non-Surgical Spinal Decompression, and Cold Laser Therapy techniques. 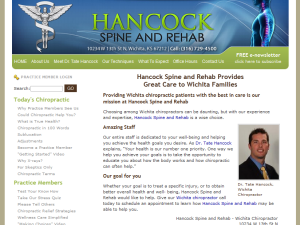 Parker College graduate provides Diversified, Thompson, Gonstead, Activator Methods® and Neurological Relief adjusting techniques for the Wichita residents since 2009. 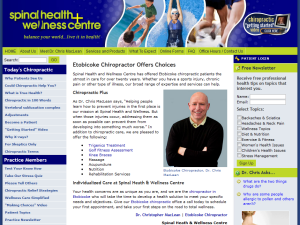 Canadian Memorial Chiropractic College graduate serves Kingsway community of Toronto for over 20 years with Diversified and Trigenics Treatment adjusting methods. 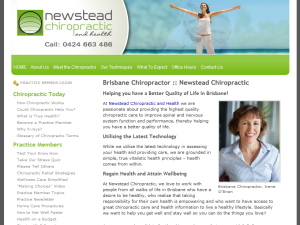 Golf Fitness Assessment, Orthotics, Knee Braces and Decompression are also available. 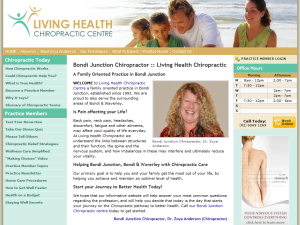 Macquarie University graduate serving Bondi Junction, Bondi and Waverley families since 1993 with Diversified, Activator Methods®, Applied Kinesiology, Thompson, SOT, NET, Myofascial Release, and Extremities techniques. 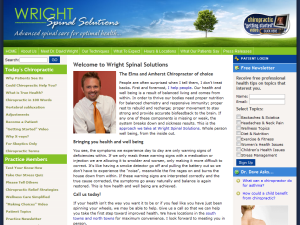 Active Release, NIS and Nutrition are also available. 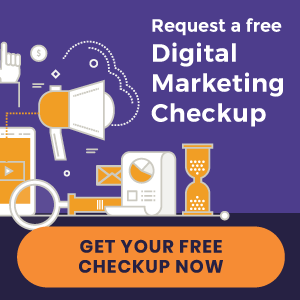 Royal Melbourne Institute of Technology graduate provides vitalistic chiropractic care for Newstead, New Farm, Fortitude Valley & Spring Hill residents using SOT, Torque Release, Diversified, Advanced Bio Structural Correction and Webster techniques. 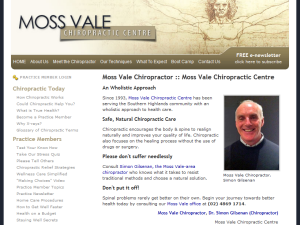 Moss Vale Chiropractic Centre offers Moss Vale and the Southern Highlands with corrective chiropractic care using Gonstead and Thompson adjusting techniques. 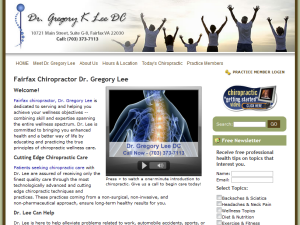 Dr. Gregory Lee especially loves serving athletes and sports injury cases with chiropractic care because they respond so quickly to this safe and natural approach to better health. Palmer College of Chiropractic graduate serves Oak Creek residents since 1992 with CBP and Gonstead chiropractic techniques. 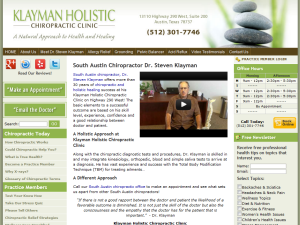 Palmer College of Chiropractic graduate provides chiropractic care in the South Austin, Oak Hill and Dripping Springs neighborhood in Austin, TX for more than 17 years.